Millennium 7 Publishing Co.: How To Distribute YOUR Online Sales Videos? How To Distribute YOUR Online Sales Videos? There was a time when you needed to get on a major network or newspaper to increase awareness of your brand..
Now, with so many alternative outlets for your content -- Facebook, Instagram, YouTube, etc. -- those traditional networks mostly aren't as vital as they once were. Sure, appearing on a national TV channel or paper can improve your credibility, but you aren't paying your bills with credibility. Instead, you're going to need to utilize other options, which can be more powerful drivers of sales and conversions for your product or service. That's because you can highly target your content to the audience that fits your business on digital. Plus, the content is up there forever, not just the 3 minutes you happened to appear on a talk show. 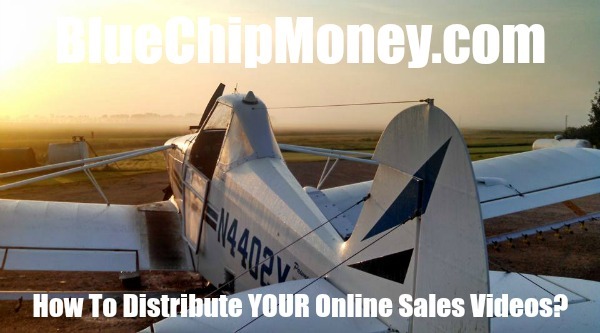 Click play to learn more about YOUR distribution options.. Guest Authored By Greg Rollett. Greg is an Emmy Award-winning producer, bestselling author and media expert who works with experts, thought leaders and entrepreneurs all over the world. He utilizes the power of new media, direct response and personality-driven marketing to attract more clients and to create more freedom in the businesses and lives of his clients. He's the founder of Ambitious.com, a leading online education platform for entrepreneurs and is the host of the online TV show, The Ambitious Life. Greg has also hosted numerous TV shows including the reality show Ambitious Adventures, where he traveled the country in search of today's best young entrepreneurs making a significant impact in their community. Follow Greg on Twitter. “With so many alternative outlets for your content -- Facebook, Instagram, YouTube, etc. Traditional networks mostly aren't as vital as they once were. Sure, appearing on a national TV channel or paper can improve your credibility, but you aren't paying your bills with credibility.."